Radiohead will headline the festival with 32 acts signed including Róisín Murphy, Afrika Bambaataa, Kelela, and Action Bronson from abroad, plus Icelandic artists Bang Gang, Mammút, Fufanu, Rix, Faces Of Walls, and many others. International record producer, manager and entrepreneur Scott Dorsey has accepted a new role and Music Director and Executive Producer for Rock Against Trafficking, an initiative from major artists to stamp out human trafficking. Dan Kelly has new music for 2016 and ‘Everything’s Amazing’. 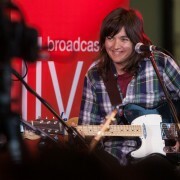 Courtney Barnett will be the first rock and roll animal at Sydney's Taronga Zoo tonight for Twilight At Taronga. US conglomerate Live Nation and Sydney based Playbill are now the only two businesses being considered to take over Melbourne’s iconic Palais Theatre in St Kilda. Gurrumul has cancelled his upcoming dates including his headline appearance at the St Kilda Festival due to health issues. 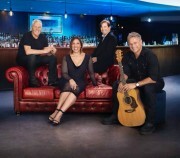 Jon Stevens, Kate Ceberano, Daryl Braithwaite and John Paul Young will star in the 2016 edition of the APIA Good Times tour. Red Hot Chili Peppers and special guests will play a benefit for Democratic presidential hopeful Bernie Sanders at The Theatre at Ace Hotel in Los Angeles on February 5. Kanye West is set to premiere his much-anticipated new album during his upcoming fashion show at New York's Madison Square Garden. Davey Lane of You Am I, Darren Middleton of Powderfinger and Mark Wilson of Jet have become the artists also known as Antipodean Rock Collective but don’t look for this supergroup in arenas. Iva Davies paid a subtle tribute to David Bowie at his A Day On The Green concert on Saturday. The Rolling Stones will be back on tour next week spending February and March in South America. Kanye West has changed the title of his upcoming album ‘Swish’ to ‘Waves’. Rapper Jay Z is facing an $18 million (£12 million) lawsuit over his signature cologne. 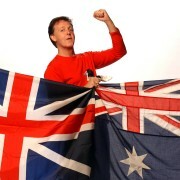 Paul McCartney is clearly the second most popular living Beatle for Australians. David Bowie producer Tony Visconti will deliver the keynote address at the SXSW music conference in Austin in March. Colin Vearncombe, professionally known as the singer Black, has died following a car crash at Cork, Ireland on January 10, 2016. Aerosmith frontman Steven Tyler fears he is only "a hit record away" from returning to his "humongous" drug addiction. The Rubens 'Hoops' has topped this year's Triple J Hottest 100. Tina Arena has been awarded a Member of the Order of Australia in the Australia Day honors list. The Chemical Brothers have released the official video for their song Wide Open. Singer songwriter and producer Shane Howard was today awarded a Member of the Order of Australia and immediately called for Australia to become a republic. Don McLean's wife, Patrisha McLean, has cancelled an Order of Protection that she filed for in the wake of her husband's domestic violence charge. Business partners Sean 'Diddy' Combs and Mark Wahlberg have teamed up with Eminem and Wiz Khalifa to become the latest stars to offer up clean water supplies to thirsty residents of Flint, Michigan. 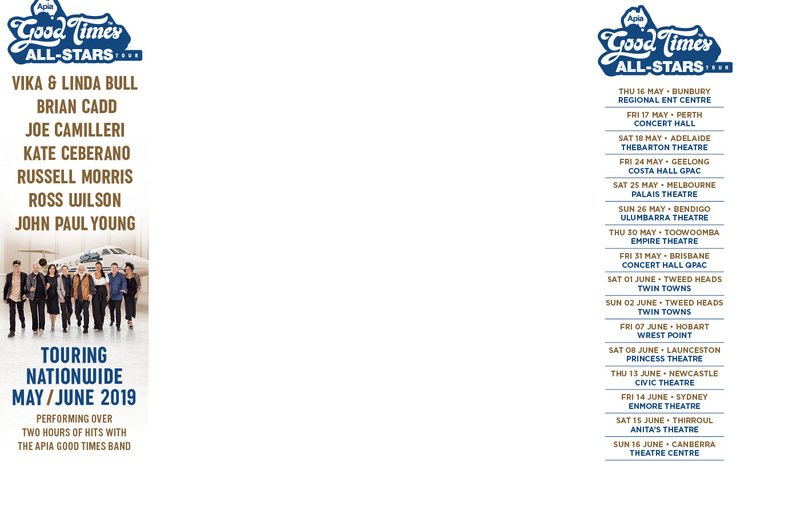 Brian Wilson, along with fellow Beach Boys Al Jardine and Blondie Chaplin, will tour the world in 2016 for the 50th anniversary of Pet Sounds. Following the recent announcement of their forthcoming album ‘Everything You’ve Come To Expect’, released on 1 April 2016, The Last Shadow Puppets will be returning to the UK, Europe and US for their first live dates since 2008. Kanye West left modesty at the door when describing his new album Swish as "the best of all time". It looks like Ringo Starr has finally found his perfect All Starr Band.